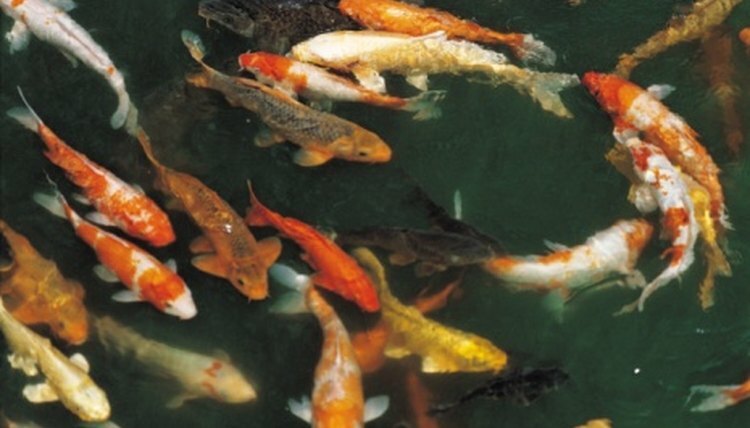 Reptiles and fish are different classifications of animals although they share many similarities. It is often easy to tell apart a fish from a reptile, but examining the similarities between the two classifications reveals some exciting and interesting facts. Reptiles and fish (along with amphibians) are believed to be closely related on the evolutionary chain which is likely why the similarities are so striking. Fish are always confined to water in order to survive and some reptiles find their natural home in water as well. Sea turtles are reptiles that spend the majority of their lives in the water, only returning to land in order to lay eggs. Sea snakes are another reptile that live in water and only come to the surface for air. Some types of sea snakes return to land to lay eggs while others will lay them in the water. Alligators and crocodiles are reptiles that spend the majority of their lives in water and marsh-lands. Fish and reptiles are both cold-blooded creatures. Cold-blooded refers to the fact that fish and reptiles do not create their own internal temperature such as humans and other mammals do. Instead, they take on the temperature of their surroundings. Both fish and reptiles have the ability to survive with very low or very high temperatures and most fish and reptiles flourish in warmer temperatures. Warm temperatures allow fish and reptiles to be more active and to move more quickly. Fish and reptiles both seek warm temperatures -- reptiles often look for sunlight while fish look for warm water. Both fish and reptiles hunt for fresh pray and are willing to eat dead animals and plants. The majority of reptiles are omnivores, meaning they have a diet of meat and plants. Reptiles are able to swallow small or large animals whole and often do not chew their food. Fish have a varied diet, depending on the species but, like reptiles, many fish are omnivores and eat smaller fish, insects and plants. The majority of fish do not have teeth and like reptiles they swallow their food whole. The majority of reptiles and fish lay eggs, while some species give birth to live young. While both reptiles and fish lay eggs, they are often very different in texture and appearance. Reptile eggs are often hard and leathery. Fish eggs are usually rather small in comparison to reptile eggs and they are soft and transparent. Most fish and reptiles do not have maternal instincts, which means they do not care for their young once they are hatched or born.